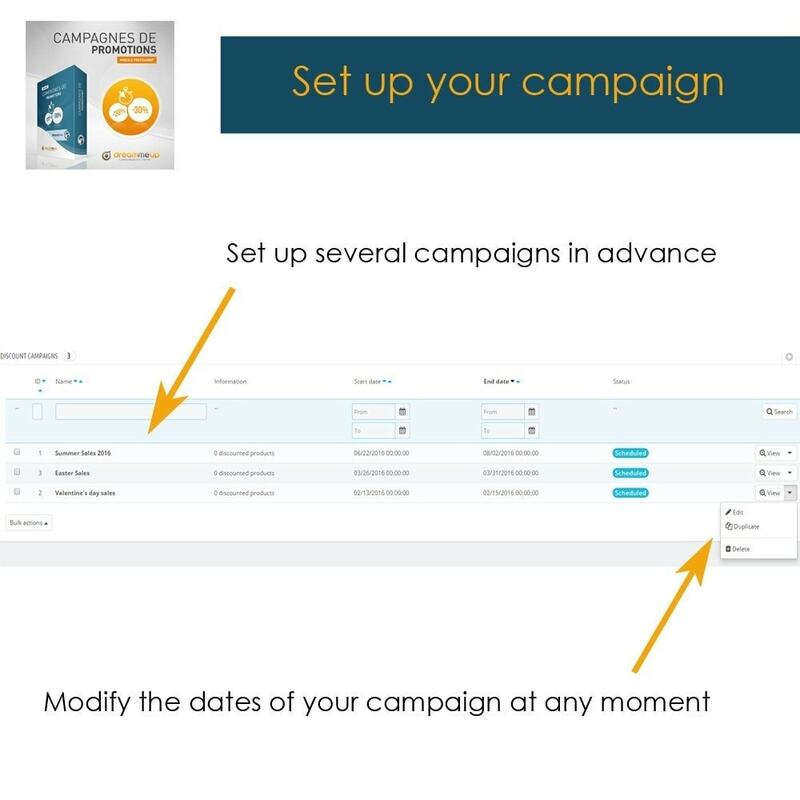 Manage your sales and promotions in advance ! 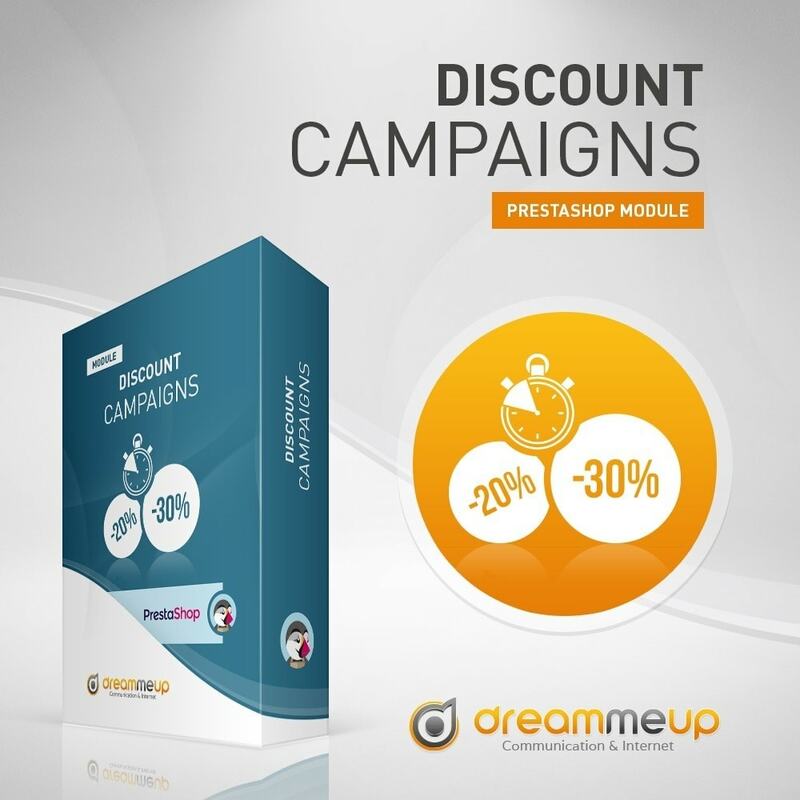 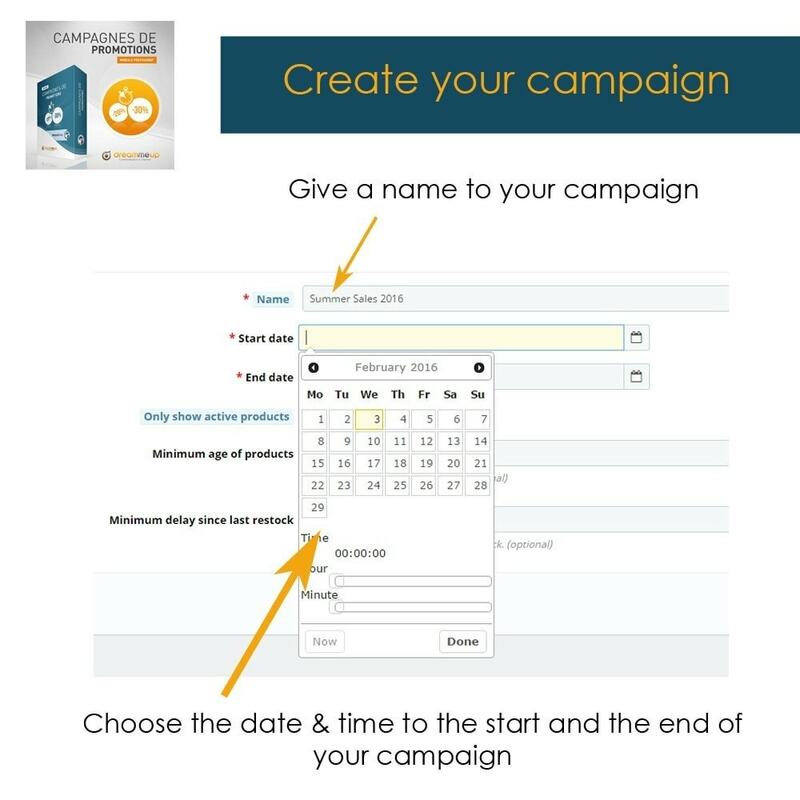 You can create multiple discount campaigns in advance by setting dates and time of start and end. 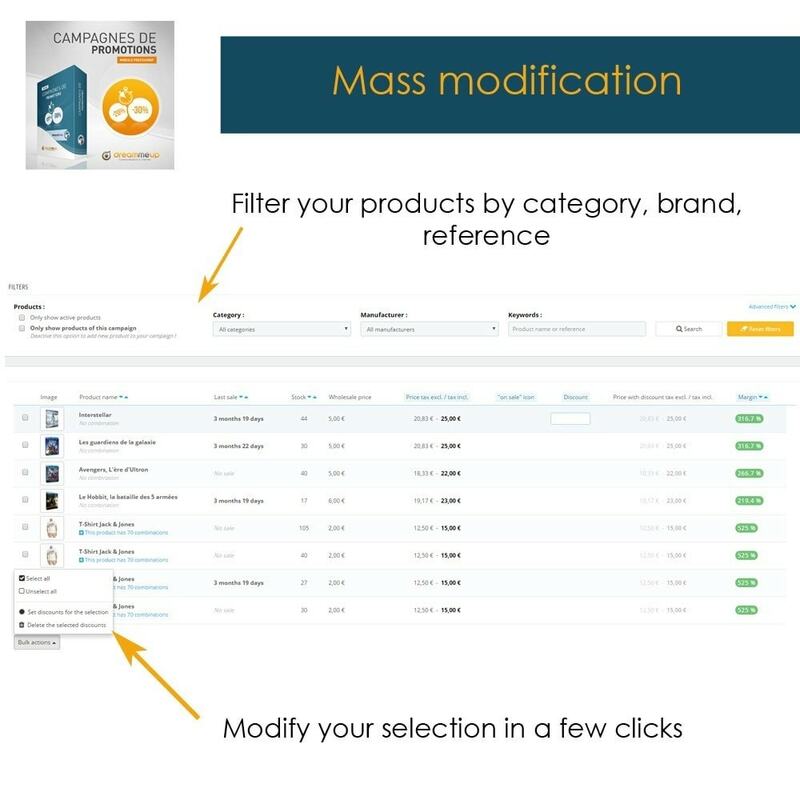 In a single interface, fully ajax (without reloading the page), you can assign the reductions in mass for every product you want. 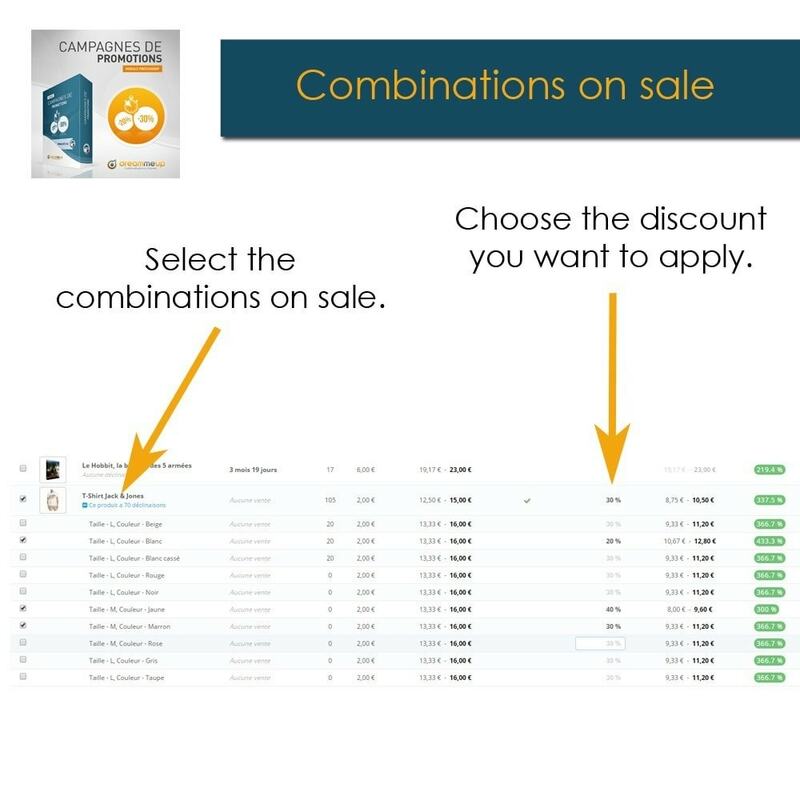 The new 1.6 version helps you to choose you products and the reduction to apply with the stock, the last purchase date, the margin ! 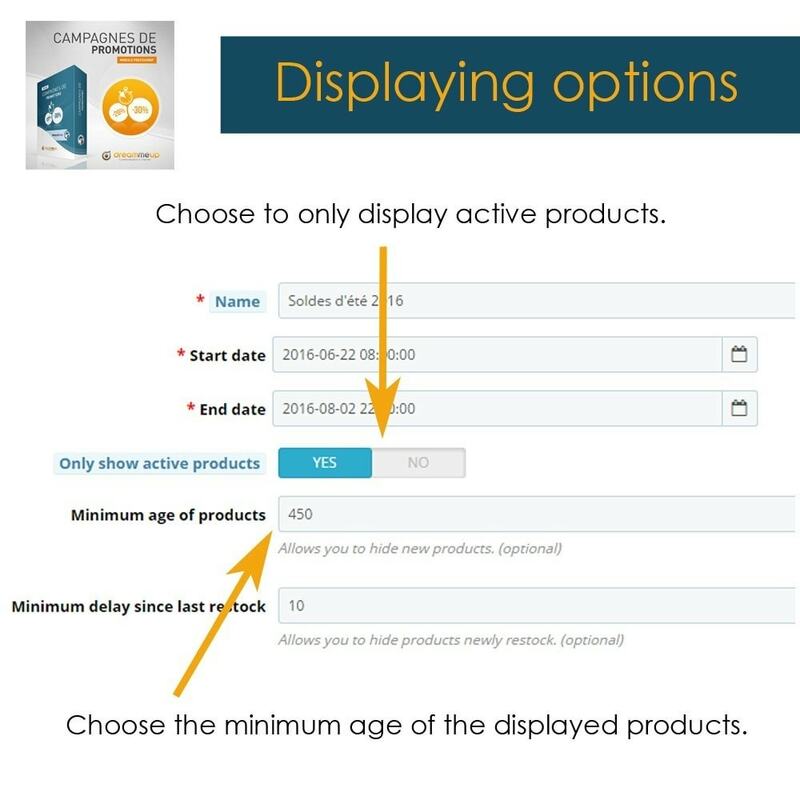 Assign reduction in amount or percentage to a product selection with preview of the discount.